Lyn Toppfotball is a football club from the Norwegian capital of Oslo, which is a section of the Ski- og Fotballklubben Lyn sports club; whose members compete in Nordic skiing and orienteering. The club was formed on March 3rd, 1896 in the Oslo district of St. Hanshaugen. The sports club had two football departments until 2010; to serve both the amateur and professional game. At that point the professional outfit, FK Lyn was bankrupted, leading to fans to supporting Lyn Fotball to carry on the club name. Lyn became one of three founding members of the Norwegian FA in 1902. The team soon became a dominant force as they lifted the Norgesmesterskapet i fotball for herrer; Norwegian Cup for four successive years between 1908 and 1911. Odds BK were defeated in the first three finals followed by FK Urædd, with all four victories coming at Frogner Stadion in Oslo. Lyn won the Oslo championship on eight occasions until the national league was formed in 1937. Lyn opened the Ullevaal Stadion as their home ground in 1926, with the team provided six members of the Norwegian Olympic football side that collected the bronze medal at the Berlin games of 1936. Jørgen Juve skippered the team, going on to be the national team record goal scorer. The Norwegian Football Federation bought shares in Ullevaal Stadion as it became the national stadium. 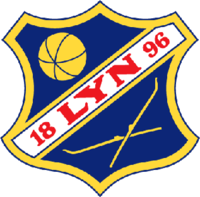 Lyn finished as inaugural runners-up in the Norgesserien national league in 1937-38. Lyn Oslo; as the club is often known, won a fifth Cup in 1945 in a second replay at Bislett Stadion against Fredrikstad FK before retaining the trophy the following year with victory over the same opponents at Ullevaal Stadion. In 1964 Lyn were crowned as champions of Norway as they lifted the 1. Divisjon title with Harald Berg and Ola Dybwad-Olsen the main players before the team won the Cup once again in 1967 as Rosenborg BK were hammered 4-1. The 1968 campaign saw Lyn complete the double. Mjøndalen IF were beaten 3-0 in the Cup final, while the league title was also lifted for a second time. The team also reached the last eight of the European Cup Winners Cup before bowing out to FC Barcelona. However, the club were surprisingly relegated the following term as well as being defeated by Leeds United in the European Cup, before retaining their top flight status twelve months later. Lyn also reached the 1970 Cup final but went down 4-2 to Strømsgodset IF at Ullevaal. Lyn were relegated once again in 1973, as the club lost support owing to their inconsistent form on the pitch. Promotion was achieved in 1977, but the team were relegated back to the second tier after just one season. Lyn reclaimed their 1. Divisjon place at the first attempt before finishing bottom of the table to drop down a level once again in 1981. It would be nine years before Lyn once again reached the Tippeligaen, as the top flight had been renamed. A decent fourth place finish came on their return in 1991, with Tom Fodstad scoring the goals. The club was relegated once again in 1993, before reaching the Cup final of 1994, which ended in a 3-2 defeat to Molde FK. Another promotion came in 1996, but once again Lyn could not hang on to its top division status and were relegated after just one season. The club was in financial trouble when Norwegian investor Atle Brynestad bought the club in 1999. Lyn returned to the Tippeligaen for the 2001 season after winning the 1. Divisjon title. Coaches came and went with quick regularity. Lyn lead the league but settled for a third place ending after Hvroje Braovic was controversially appointed. The following season saw a second round exit to POAK in the UEFA Cup and the team survive a relegation fright as skipper Tommy Berntsen saved the day stepping up as coach after Braovic’s replacement Teitur Thordarson had resigned. The 2004 campaign saw Lyn lose to SK Brann in the Cup final with Jan-Derek Sørensen the scoring hero of the ‘Bastionen’ fans of the club. Henning Berg took over as coach in 2005 with Lyn finishing in third place with Nigerian midfielder John Obi Mikel starring. Mikel’s transfer to Chelsea would cause large controversy after Manchester United thought that they had sealed the players’ signature. Chelsea took legal proceedings against Lyn as they felt that they had been defrauded. The 2009 campaign saw Lyn relegated from the Tippeligaen and the club narrowly avert bankruptcy, despite the Mikel money and a further €5 sale of Nigerian international Chinedu Obasi to TSG Hoffenheim a couple of years previously. The club moved from Ullevaal to Bislett Stadion to share with Skeid Fotball in the second tier. The financial position became too much for FK Lyn who were declared bankrupt on June 30th 2010. Lyn Fotball were playing in regional football in the seventh tier as some of the fans got behind the amateur outfit until the end of the 2010 season, when matches were transferred to Frogner Stadion. Crowds were impressive which allowed monies to be raised to pay off the debts associated with FK Lyn’s reserve side. The NFF awarded Lyn the license of the reserve team to allow them to play in the fifth tier from 2011. Lyn won one of the 4. Divisjon league’s in 2011 to reach the fourth level 3. Divisjon, where they were placed in Avdeling 3 under coach Finn Bredo Olsen. The momentum continued with Lyn winning a successive league crown to be promoted to the third tier. In 2014 the club moved back to Bislett Stadion as Jonas Rygg took over team affairs. The team were relegated back to the fourth tier in 2015, with Thomas André Ødegaard taking over as coach. Lyn won the Avdeling 2 title as that level in 2016 but were not promoted as the league system was restructured with the fourth tier titled the Regionsligaen. The team were runners-up the following year to agonisingly miss out on going up. The team was moved sideways to Avdeling 6 for the 2018 season. Lyn Fotball will play in Regionsligaen Avdeling 6 in the 2018 season. My long weekend visit to Norway was coming to a close. I’d had a lovely time catching up with family and spent the previous evening in Oslo after the Sarpsborg 08 v Stabæk top flight match. I had a few hours to discover the capital on another very nice day. My apartment on Parkveien was just a five minute walk from Bislett Stadion. I’d stopped off to visit a large supermarket to buy my grillkrydda seasoning and a cheese slicer as shown to me by Ragnhild, my brother Paul’s other half. I arrived at the stadium gates to discover them open at the south end behind the curve. Lots of people were using the facilities inside to keep fit. Norway seemed a fantastic country in encouraging people to use its facilities. It was great to see. I’d watched lots of events from Bislett Stadion on TV back home in the 1980’s as Steve Cram broke records on the track at excellent athletics meetings. It had captured my imagination and it was good to have a look inside. It was located not too far from the centre and hemmed in on all sides. The banks of seating were steep and built into the hill down the east side, with the stands raised on three sides before dropping away behind the north curve. It was good to see evidence of Lyn’s participation at the stadium round at the entrance by Louises Gate, with a forthcoming fixture being advertised. I headed off down Josefines Gate to a nice area where everyone looked pretty and nicely turned out. I would certainly consider going to take another look at Homansbyen if I was in town again. I took a tram to Majorstuen before going to take a look at Frogner Stadion.